I’ve been trying to think of something clever and entertaining to say about the Greenbelt Festival at Cheltenham Racecourse, but it was just… too big. Too exhuberant. Too thought-provoking, and too gloriously diverse to pull together in a few words. (Which is a poor show for someone who calls herself a writer, I know.) 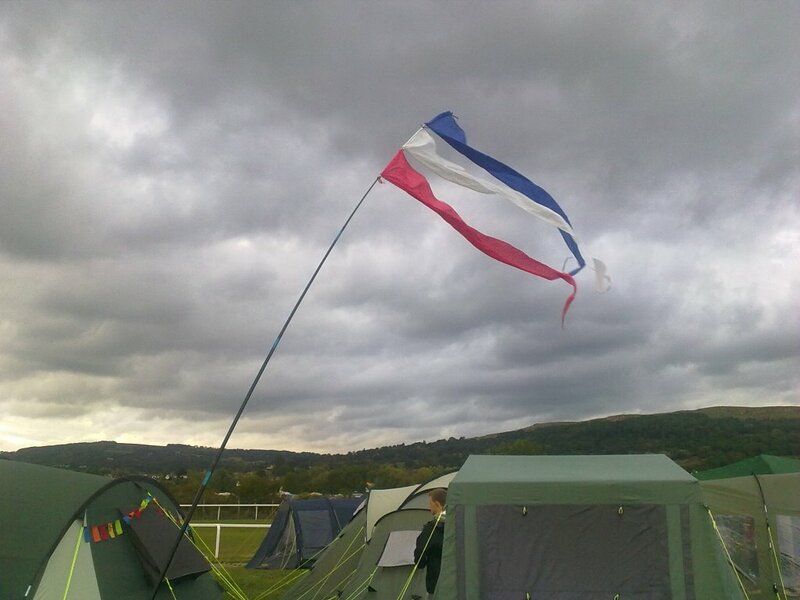 At times it was also too wet and too cold, but the wellies came out, the banners fluttered bravely over the tents up on the camping fields, and the atmosphere was as warm as ever. Thank you to everyone who came to the events I was involved in. You made both sessions a pleasure and besides, it would have been very lonely without you. Especial thanks to the kind folk who chipped in with plenty of intelligent comments and questions at the end, thus saving us all from a potentially embarrassing silence. In fact halfway through the ‘Lure of Crime Fiction’ talk it was looking as though it would also be a very long silence. Something strange happens to time when you stand up in front of people who are expecting you to say something sensible. Despite several rehearsals, the plentiful material I’d prepared shot past at fearful speed while my watch (carefully set out on the lectern so I didn’t have to consult my wrist, as if even I was wishing I was somewhere else) seemed to have stopped. Then, strangely, I slowed down and the watch went faster. Goodness knows what the patient listeners were actually receiving on the other side of this time-warp, but as far as I could discern, nobody fell asleep despite it being the end of a very long weekend. For that, and for much else, I am enormously grateful. Thank you Pepper – that’s a useful tip. I’ll bear it in mind next month when I’m doing a talk at a Lit Fest on ‘writing historical fiction’. So far I’ve mostly done ‘author talks’ where I can slip material in and out depending on how time is going, but actually having to speak about a subject is a whole new challenge!